Relying on its amazingly rich and variable nature, Azerbaijan plans to expand the exports of nuts and hazelnuts. The diverse nature offers a good opportunity for the country to develop agriculture not only for the domestic production, but also enter the world markets. Azerbaijan has all the necessary weather and climatic conditions for the cultivation and production of hazelnuts. Nuts and hazelnuts are highly valued for increasing the country's supply capabilities. Hazelnut production is an export-oriented and high-yield sector, which is able to provide earnings in the country and high profit to businessmen. In Azerbaijan, among agricultural produce, the biggest revenue is fetched by hazelnut production and the exports of persimmons, therefore, the country pays very serious attention to these two areas. Last year hazelnut orchards were established on an area of 13,000 hectares of a total 30,000 hectares of hazelnut orchards. The future goal of the country is to establish hazelnut orchards on a further 40,000 hectares, expanding the geography of hazelnut production, which is currently involves 13 regions of the country. Being a plurannual plant, hazelnut gives first harvest after some five years. In this regard, farmers need a state support to tend these plants during the growing period. One of the regions of the country, seriously involving in the production of hazelnuts is Shabran, which is currently engaged in growing of new method of hazelnut orchards. The gardens, located in Aygunlu village of the region, are using the experience from Spain and Turkey. The garden set in 12 hectares will be watering by drip irrigation. Deputy Director of Guba Scientific-Research Institute of fruit and tea Vahid Aliyev said that the new method will enable to boost the productivity by 3 to 4 times as compared to traditional gardens. The specialist noted that gardening also differs from the traditional method. He said that in three years first crop will be harvested from these orchards. Overall, it is planned to plant hazelnuts in 1,000 hectares in the region and the area of the gardens will reach 500 hectares this March. Hazelnuts are produced in Baku, Absheron, Ganja-Gazakh, Sheki-Zagatala, Upper Karabakh, Lankaran, and other regions of the country. Meanwhile, one of the regions of Azerbaijan -- Gabala is increasing export of hazelnuts to Europe. Cultivation of hazelnuts is significantly important for the region. Built in 2005, the plant in Gabala also processes hazelnuts from neighboring regions such as Oguz, Zagatala and Gakh. The plant produces products from nuts, including peanut puree, chocolate cream, sweet and salty hazelnut as well as chocolate with hazelnuts. 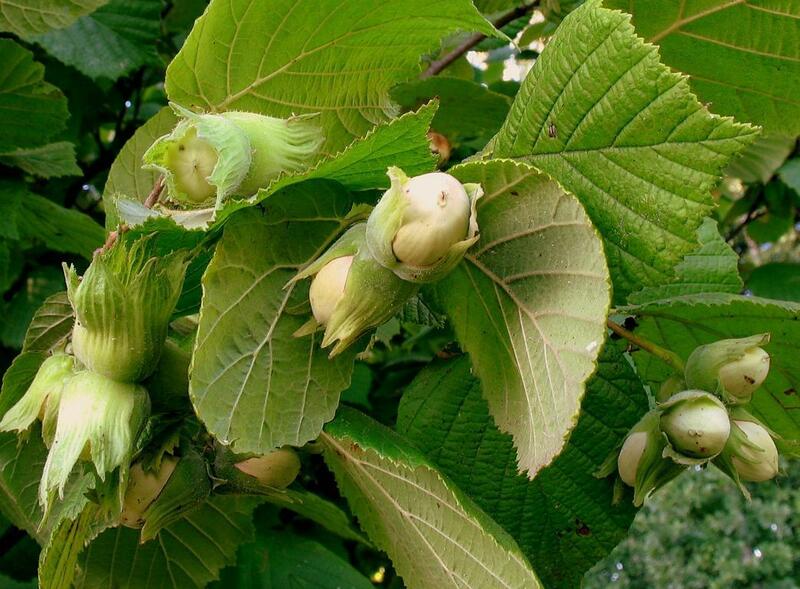 The work on the creation of hazelnut garden on an area of 1,000 hectares has already begun. Hazelnut plantation area will be expanded to 2,000 hectares in the upcoming years. The country produces such types of hazelnuts as Atababa, Ashrafli, Ghalib, Ganja, Sachagly, Topgara and Yagly, while the most popular types of these nuts are Atababa and Khachmaz. In 2012, Azerbaijan entered top ten countries with the largest production of hazelnuts, according to the Food and Agriculture Organization. However, the country could not reach large revenues from the export of hazelnuts. Despite the fact that the main market for the national product is Russia, specialists claim that it is more profitable for the country to export to Europe, as there hazelnuts are sold more expensive. Overall in 2014, Azerbaijan exported hazelnuts in 16 countries, including 13 European states. Azerbaijan gave away to Georgia, which has established a steady supply to European countries and took a certain amount of their markets (5-6 percent). Figures of 2015 suggest that Iran was the new market for the Azerbaijani hazelnut producers in the previous year. Whilst, the volume of deliveries yet yielded the Russian supplies which amounted to 7,000 tons. In 2015, neighboring Turkey – one of the leading supplier of this costly nut – has broken records in hazelnut export. Turkey remains the bulk producer of hazelnuts in the world, thus determining the price for the products. Turkey exported 240,137 tons of hazelnut in 2015, making $2.8 billion in profit, according to the Black Sea Hazelnut and Its Products Exporters Union. Production of hazelnuts in Turkey usually reaches nearly 600,000 tons a year.